By Sruly Meyer – Producer of Benny Friedman’s new CD, “Fill The World With Light. I just wanted to go through the album, and let the listener hear my own thoughts, from behind the scenes. I love this album so much, and I wanted to share some of that with you. I’ve been involved in different levels of production now for almost ten years, mostly starting when Benny started. 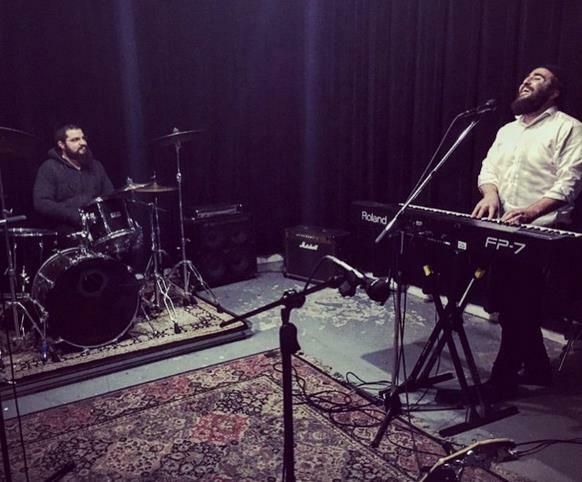 Before there was even a debut album, it was just me and Benny sitting in a basement, listening to Jewish Music, and figuring out what we wanted to accomplish, what kind of music and ideas we wanted to bring to the table. Each album that came after that was a process that I felt gave us what to learn from. I always looked back at each CD and said, where did we succeed, where did we fail? Where are the songs that we thought would be huge that weren’t, or vice versa. We continue to adapt and get a better handle on what we are doing. As much as I love all the previous music we released till now, there’s something about this CD that makes me feel confident to say we hit a sweet spot. Here is a song by song breakdown, from behind the producer’s chair. I’m doing these in track order, but it will definitely be out of chronological order in terms of when we finalized and got these songs into production. Starting with this track, which as it happens to be, was the last song confirmed and was still in its finishing stages over Succos. Ari Goldwag needs no introduction, he composed our biggest hit, Yesh Tikvah, he also composed Shalom Aleichem and L’hisaneg – all massive songs. I loved the chorus right away, but it was sitting with Benny discussing if we should take it when he said, “This song is an anthem, and this is what I want to do” and he starts singing to the melody “I’m a Jew and I’m proud and I’ll sing it outloud, cause forever and ever that’s what I’ll be.” What could be more universal than Jewish pride! We all know the famous camp song, I’m a Jew and I’m Proud. So, taking that message and building it into this song was something very retro and I think bringing it back would be lots of fun. We brought the song to Ian, who arranged Yesh Tikvah, Ari’s first Benny hit, and we told him, we want this song to make you want to dance. We want people to not just hear this song, but when they do hear it, they will want to get up from their seat and feel compelled to just dance! When it was done, the arrangement was something we never even heard before in our industry. Especially the big drop by the bridge. We knew it was shockingly different, but it was just so catchy and so huge, we had to run (or dance!) with it! Getting the words right was also key, the Possuk is important, it establishes the concept, but we wanted words that people can connect with in a casual setting. We went to Miriam Israeli also of Yesh Tikvah, she wrote us the hebrew part, and we went to Shmuel Marcus who was a huge contributor to this album, as I’ll discuss in other songs. 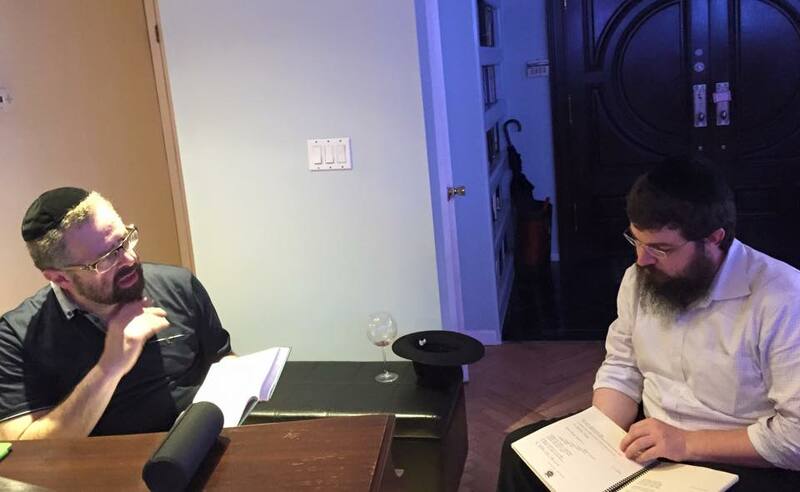 Between Benny’s I’m a Jew and Proud and Shmuel Marcus who wrote the english versus and the brilliant “Bnei Avraham … Yitzchok V’Yaakov” chant – this song coming together was incredible. Elie Schwab composed and wrote the lyrics for this song. From the opening notes and words, I said, this must be on Bennys cd! The words, the message, the powerfulness of the melody, it was just straight to your heart. I sent it to benny saying, I don’t say this very often, but you will call me right after hearing it and tell me you agree it must be on the album, and that is exactly what happened. I worked very hard on constructing the exact sounds and feel I wanted this song to have. The Akeida is a very emotional and epic moment in Judaism and Avraham’s final journey. It’s the first Mesiras Nefesh! I wanted it to feel cinematic. I wanted to feel authentic from where it happened geographically. It wasn’t easy, it took a lot to get that song right, and in the end it was worth it. If you don’t understand hebrew, ask someone who does, it’s worth it. It’s such a powerful song. Ashira is a song that Benny heard from Yitzy Berry & Eli Klein and right away knew what he liked and what he wanted to do with it. I took his idea, we nailed down the exact feel, that 60’s jazz groove, and to be totally honest, this song came together very, very quickly. Benny’s choice harmonies and the incredible catchy chorus makes this an instant feel good song. During the entire production process of this album if I ever got in a funky mood, I put this song on, in any stage of production and it right away transported me into a happy place, smiling ear to ear. It’s my go to pick me up! We were jamming with Boruch Sholom Blesofsky, and lots of great ideas kept popping up. He had this one melody that had different words mainly as a chorus, but we weren’t sure if it was gonna really work. Not too long after we fell in love with the tune, Benny’s dear uncle, R’ Yehoshua, or as he was well know, Josh Gordon, a Shliach in California passed away from a long illness. My family and Benny’s family go way back in way too many ways to detail here, but I spent some years as a kid in L.A. and I remember Josh Gordon very well. He was always an electric personality who infused positivity and action in every person he came into contact. He never settled, he always pushed people to be the best version of themselves. When Benny suggested we use this melody with famous words of encouragement that Josh A’H got from the Rebbe, it became a very emotional and personal project. 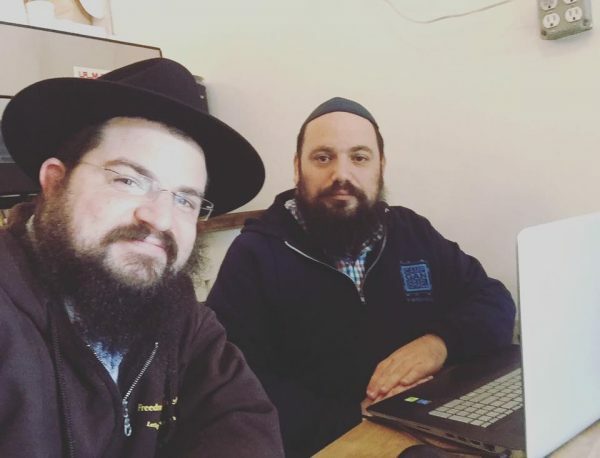 We enlisted the help of one of the greatest lyricists today in Jewish music and a cousin of Benny’s, R’ Shmuel Marcus, a Shliach himself in California, and we took the words, blended it with his message from the Rebbe, and even added the sweet touch of adding R’ Josh’s own words from a video where he retells the story of getting this advice from the Rebbe. This song is possibly one of the most emotional songs I ever worked on, because it’s as real as it gets, and it was personal, for me, but especially for Benny. The best art comes from a real place, and that’s where this song comes from. It was my idea to go the sort of Spanish/Latin route with the arrangement, it was originally meant to be something that I always connected to growing up in South Florida, but as it so happened to be, this style of music works on the west coast as well, where R’ Yehoshua spent his life making the world a better place. One last interesting side note. 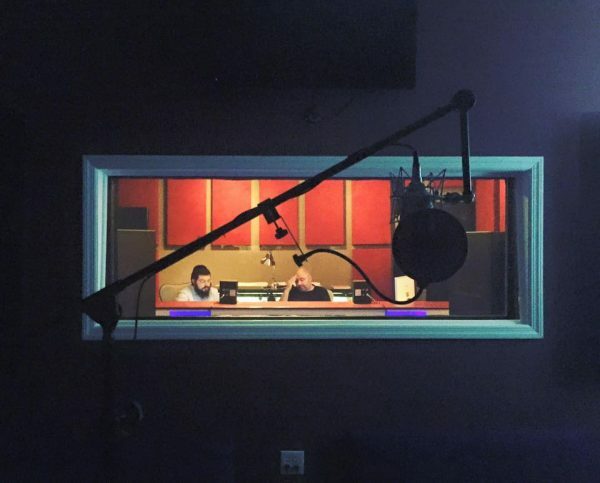 When we were recording the vocals for this song, we recorded it in Spotswood, NJ, where Ian’s studio is, and a local shliach who lives near the studio who Benny and I know came by to say hi to Ian. When he heard the words of the song he was shocked, he said, I know these words, as a Shliach I took this message of R’ Gordon and always connected with them. He then pulled out his wallet, buried in a side pocket of his wallet was a piece of paper with R’ Gordon’s words he received from the Rebbe, hand written down, which he himself was told to by R’ Gordon, and he has carried these words with him for many, many years. It just felt so fitting! 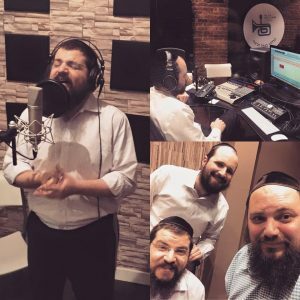 This was probably the 2nd or 3rd to the last song we heard toward end of production, and again we took the original song, and the guts of the words, but we brought back Shmuel Marcus to give it that something else it needed. Something that made it feel very relatable, and Benny’s input makes this song feel like Benny is singing it straight to you. The level of originality on this album is on display in this song, from Ian’s incredible music, to the painstaking detail we put into literally every word. 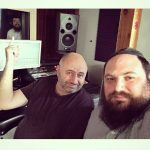 As it would happen to be, we were in the studio laying the vocals and still not happy, we texted Shmuel Marcus for some last minute alternate phrases. 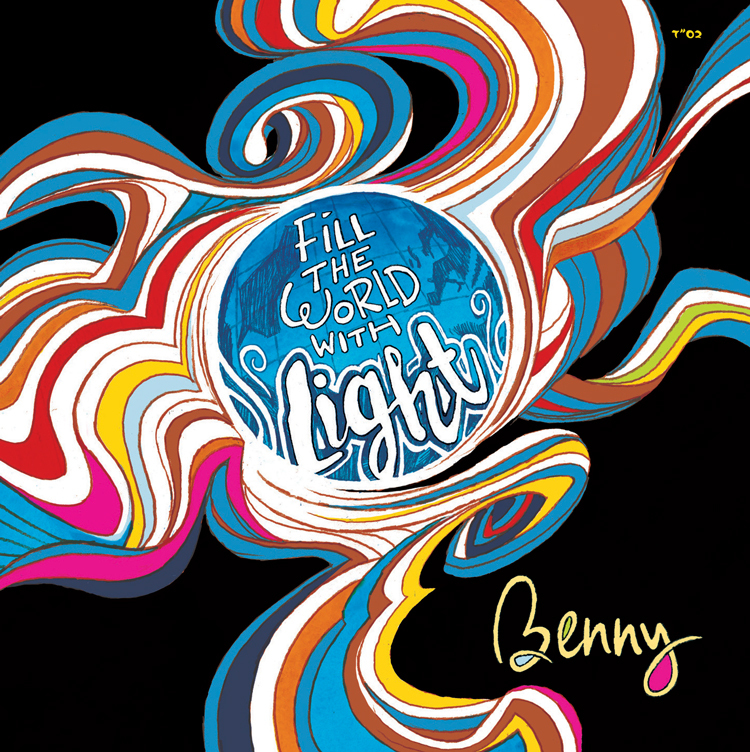 Benny was behind the glass, and I was reading the freeform ideas coming from Shmuel, and I took two of his ideas, and mixed and matched the words to get “Fill the World With Light”, I pressed the button, suggested it to Benny, he sang it, and it was like an electric explosion. I got goosebumps the first time I heard him belt out that phrase FILL THE WORLD WITH LIGHT! At that moment I wanted that to be the name of the album. You get songs for an album many different ways. Sometimes you have an idea and go to a composer, sometimes they send you demos. Yitzy Berry sent out a demo of a song, and for whatever reason Benny and I both liked it but we waited too long to confirm and it was already put on hold within hours of it being sent out. The next day Yitzy sent Kulam Sharim, within minutes I emailed him back saying “hold, hold hold! I love it! Let me just speak to Benny”, he replied, I’m sorry someone JUST put it on hold. I was beside myself, he let me sweat about 3 minutes before replying back, “Don’t worry it was Benny who put it on hold!”, we didn’t want to waste any time losing another great song! What a thrill. Of course, Ian, once again delivered a pumping dance beat and arrangement, and the song’s Simcha’dike message is already being enjoyed by listeners since July, when we released it as a single from the album to begin the buzz. To tell this story right, I need to do it in the right chronological order. I’m going to do Es Tzemach first, because that was the catalyst for Meloich to come about. Yossi Green. A composer Benny and I grew up so invested in his legendary songs from our heroes like MBD and Fried. But for some reason, despite hours and hours of sessions, we just did not connect. We heard so many songs, but we couldn’t figure it out, we just couldn’t pull the trigger. I was determined, I don’t care how many albums it took, we were NOT going to give up. We went to his home, year after year, session after session, wine bottle after wine bottle and kept trying! Toward the end of the last album, as we sat there banging our heads why this isn’t working, Yossi decided to “get into our heads” by playing Chabad Nigunim on his piano. We were having a great time, and Yossi saw that, this is what we wanted, this is what we connected to. 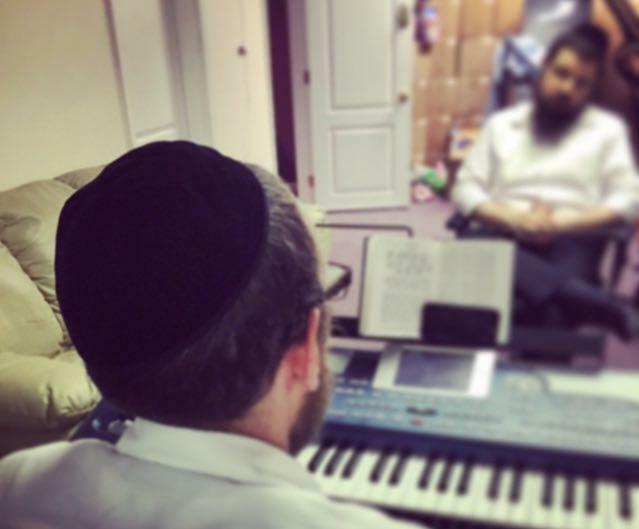 He started playing an original melody that of course had its roots in the same feels that a Chabad Nigun gives you. It was moving along, something was percolating. But we needed words. 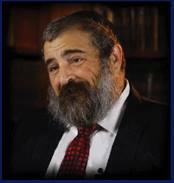 Yossi had just done an interview with Mishpacha Magazine, and I recalled that he wanted to finish the 18 Brochos of Shmonei Esra. I knew that he didn’t have words yet for Es Tzemach Dovid, a song that because of my own son’s name, Dovid, I always felt partial to that Tefilah, combined with it’s message of Redemption. As this album was coming together, I kept getting this feeling that as we were maturing and evolving our styles, it was giving me the same feelings that Fried’s CD’s in the 90’s gave me. Something that I was becoming very proud and nostalgic about. One day, while driving to a job in Lakewood, I got this email from a composer who no one had heard of. Because he was just a Bochur. The demo was simply him singing into an iphone voice recorder. No fancy demo, no music, no shtick, aside from his tapping on the table while he sang. The song was so simple and perfect. It moved gently, and seamlessly. It felt classic, but at the same time I knew this could be something very fun. For all those composers convinced you need a big name, and to spend 100’s of or even 1000’s of dollars on fancy demos, don’t! Sometimes you just need a good melody. Benny and I turned to each other, started singing the song together and just said “this is a great song! Who composed it? 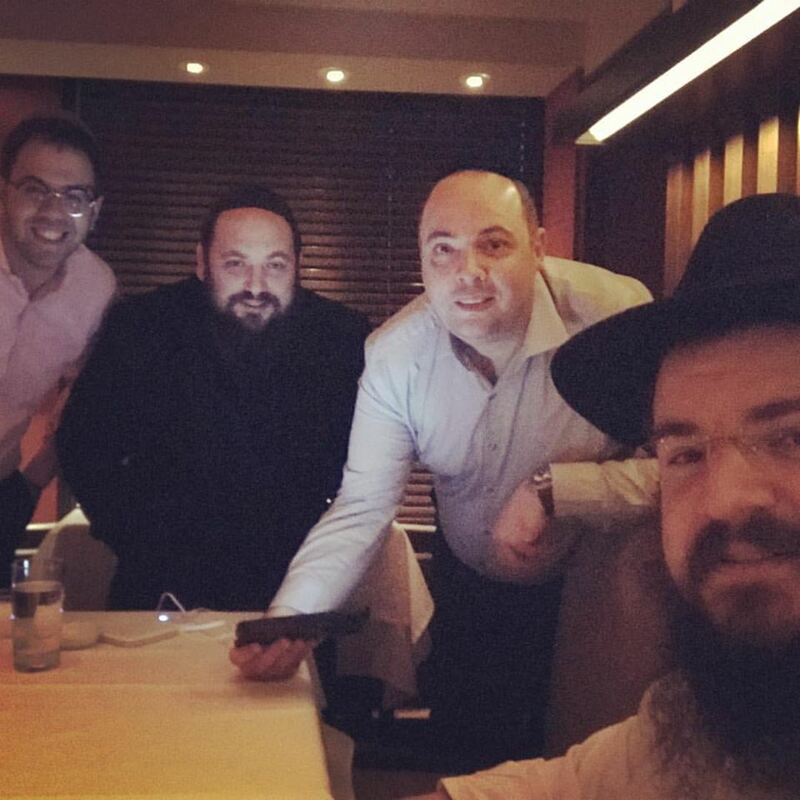 ?” It was a done deal by the time we even reached Lakewood. For the arrangement, the song really reminded me of the big band, swing movements of the Fried 90’s era, and I wanted to pay homage to those classic Avrama Fried albums of the 90s, especially Hisyatizvu. We went to Mendy Hershkowitz, who knows music, boy does he know music, and we described exactly what we wanted. We had a 13 piece “big band” brass section, and we really let them go nuts, it felt like true swing. The music is warm and fun, but at the same time so crisp and different. I hope you enjoy it as much as we do! It’s funny – isn’t it? We tried for years to get a song from Yossi we connected to, and then we got it! It was moments before we were about to give up and leave and we got Es Tzemach Dovid. It felt like, we were done, we set out what we were determined to do. “Get a Yossi Green song” after all these years. We could go home, get back to production and feel like, we did it. We got one. Well I don’t remember why, maybe we were still short a song, but we decided to go back to Yossi to touch up on some additional songs that we liked, but didn’t love and thought if we revisit them we could get some more songs. It wasn’t really happening, and I was nervous it would be another 4 albums till we got another Yossi composition. Then Yossi says, I have a song I have been playing for some other people, but for some reason, they don’t get it, and I wonder if you will. He proceeded to play us two songs that we absolutely LOVED. Meloich was one of them, it was a home run! We did have one other incredible song from Yossi that we loved, and maybe we will still end up using, but it just needed some tightening up, but I know once that song is heard and finalized and perfected, people will be blown away. There was a third song that Benny suggested wonderful words for which we really liked, but it just didn’t work out this time. So there is a lot of hope that the next album might find another one, or two, or hey, maybe even three Yossi Green songs! This is one of those songs we got as we were closing production on Kol Haneshama Sheli. We had received Rak Beyachad from Yitzy and Eli and made it as a last second song on KHS but only a few weeks later we got B’sefer Chaim. I remember even asking Benny “love it, but not for this cd, right? ?” So it became our “first” song we loved and wanted on the next CD. The feel that this song has both that classic and modern feel, with a twist of Klezmer, it felt so amazing. For a while we actually considered naming the album “L’Chaim” because that’s in this in song, and the words or concept of blessing/life is found in many of the songs on the CD. 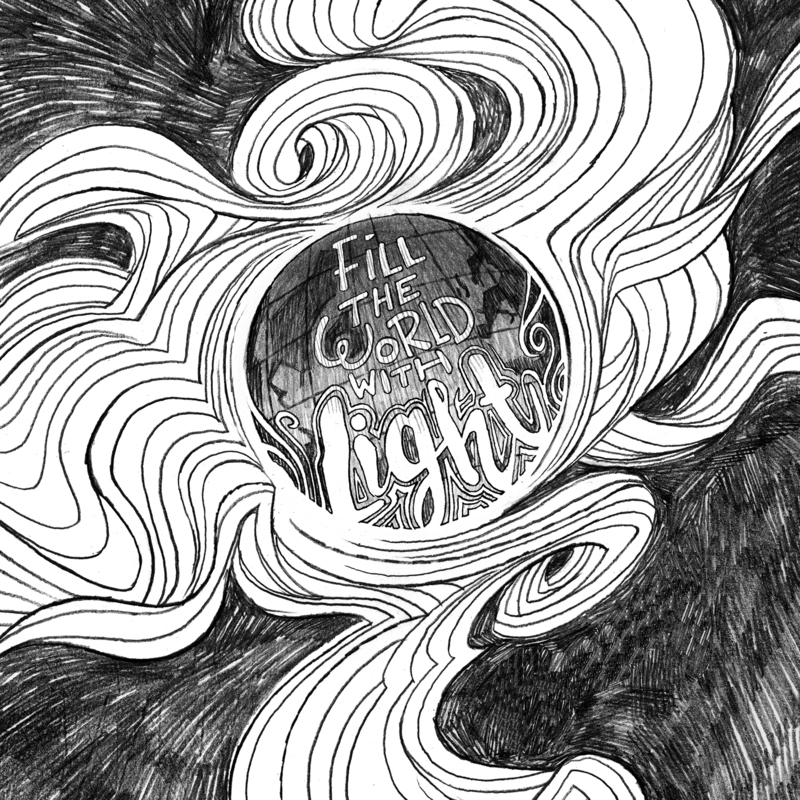 We ended up going with the much more visual and hopeful “Fill The World With Light” but this song was a lot of fun to put together and it’s hook is straight up easy to sing. Benny sent me this song that we got from R’ Shlomo Yehuda Rechnitz. There was something unique about the song, and I thought it had a nice drive, but I wasn’t 100% on board. At the time we were trying to branch out to new arrangers and styles, and I was in the middle of producing Mordechai Shapiro’s CD with Avram Zamist, and Avram turned me on to Udi Damari. He felt it was a must. 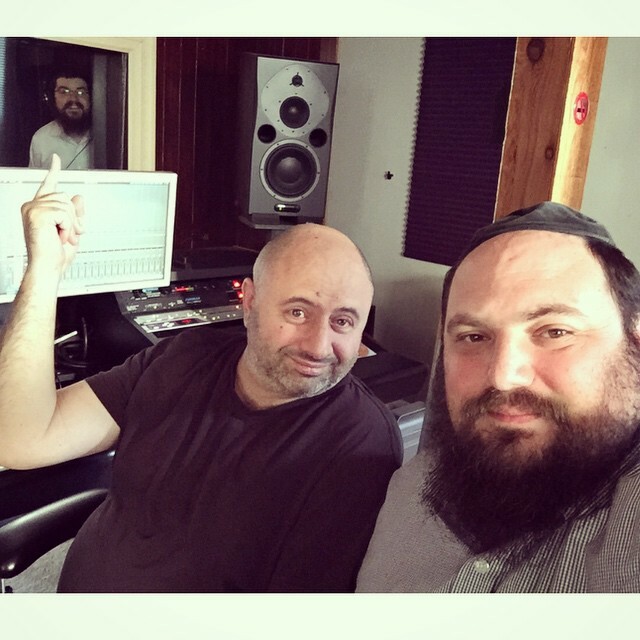 We used him for Mordechai’s CD, two songs, and he arranged a song on our upcoming kids group album “Maaminim” and Udi has an amazing ear for music. He really knows how to hear the deepest part of a tune and bring out the best in it. Benny and I called up Udi and sent him and then discussed the song. He loved it, he loved our ideas and Udi made it happen. Once we heard the direction of the arrangement, and what Udi brought and added to the song, it just came alive. 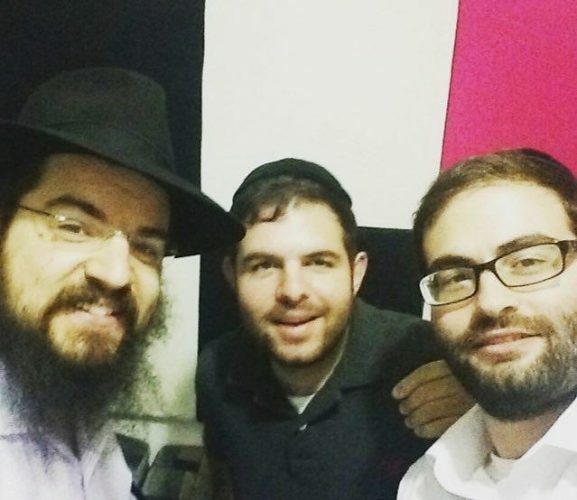 We have been Zoche to work with Yitzy Waldner since day one. When Benny and Avi Newmark and I first worked with Yitzy on Taamu, Avi sat with Yitzy Waldner for one night, and came back to us with 12 amazing demos, I think 6 of those songs ended up on Benny’s debut CD. Yitzy is a composer that we love, and we love to work with him, in person and just develop a song. From searching for the words to ironing out the melody. I remember we were banging our heads looking for original words, and Yitzy says, how about a Mehaira? I right away said no way. I’m very into original ideas, and a Jewish music wedding song to the words of Mehaira is about as typical cliche Jewish music as you can get. Benny said, why not, let’s hear it first, but I fought it. I said, what are the chances that after decades of Jewish music and dozens and dozens of slow ballad Mehaira’s that you are gonna start composing a song that’s so fresh and different we would take it. Yitzy said, and I quote “Challenge accepted” and I said ok, let’s hear the idea. We didn’t work too long on this, the chorus came together right away and the sweeping vocal movements that would undoubtedly be tied to the forthcoming big string lines in a future arrangement just felt new. An old concept, very over used words, an old idea, but something about the flow of the song just felt deep and connected with us. I think I jumped on this song right away. We brought us to an arranger and with the ideas I had for it, the song sold itself. I still hear Yitzy tell me on the phone when we speak, “See and you didn’t think we could write a new Mehaira that worked!” He was right, and that’s why he is Yitzy Waldner. It wouldn’t be fair to mention this song and not remind people that the arrangement and music was done by the amazing Tzvi Blumenfeld who has become over the last several albums I have worked on, an integral part of my process. No one gets a nigun, like Tzvi. Kol Yemei, oh Kol Yemei, the stories this song could tell, I could write an entire write up, just on the history of this song. Elimelech Blumstein, quite a long time ago sent me by text this basic hook that went like this “Kol Yemei, Kol Yemei, Every Day, Every Day … “ and he sent a basic demo that while a little simple, the hook was undeniable. Elimelech sends me a lot of stuff, a lot of it is great, but, as we are fond of saying “great, just not for us” but once in awhile we get a song like this from Elimelech, like we did with Bum Bum. It needed some polish and we right away went to Miriam Israeli to give it original words, while still keeping that amazing hook. We thought it was a just something so much fun to sing, and while the original arrangement might have been too “Yesh Tikvah” wanna be, we thought it would work. It was toward the end of Kol Haneshama when we were listening to the mix and we just felt like too much time had passed since we got this song, arranged and produced it. It wasn’t where we were at anymore, and it just didn’t feel right to put on the album. We still loved it, but we thought we could do better. So, a mixed, finished, arranged and produced song got left off the last CD. I remember telling Benny, not using a finished song on a CD is like driving a new car off a lot, once we hold it back, it loses its power and it’s value and I was worried if we pulled it, no one would ever hear it. I was determined to “resurrect” this song when we started up production on BF4 and we took it to another arranger with fresh ears to try a totally different approach that matched our style we were going for on this new album. 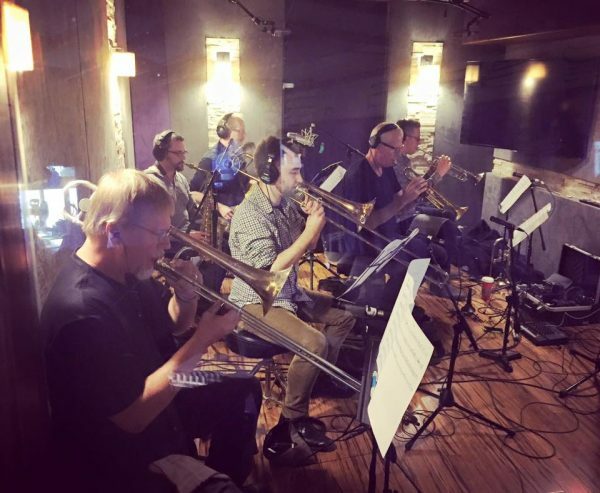 Despite the fact that the original arranger did an amazing job for what we wanted and what we asked for, we didn’t want to give it to him to “fix” because we thought he would always use the first one as a frame of reference and we wanted a new arranger, in this case Eli Lishinsky, to hear it from scratch and give his input on where it would go. It still has a slightly “old school” Benny vibe in terms of growth, but Eli updated it and gave it some edge, and attitude to it with his smokey and smart arrangement. We played with the words more and added a lot more polish, and it became what it was, the same great hook, but something a little newer. I am thrilled that this song ended up on this CD. Now if we could only resurrect the other song we left off the last CD. But that’s a story for another time. 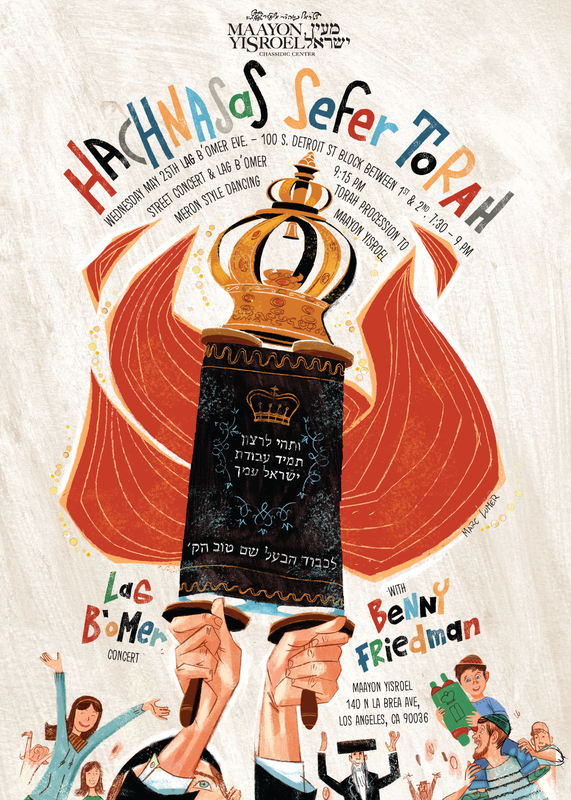 As I had mentioned earlier we were highly considering naming the album “L’Chaim!” which felt very right since more than a few of the songs talk about blessing and even have that phrase in there, but once we hit on the words Fill The World With Light it was just something we couldn’t pass up. I know it’s wordy, but the message of it is just so powerful, and even though the song is also amazing and title track material, it also easily gives credit to the entire theme of the album, with so many songs dedicated to uplifting and positive messages. Benny and I both had a very big love for the artwork that Marc Lumer creates and last year Marc drew an amazing poster for a Hachnasas Sefer Torah that Benny sang at in L.A., and we loved the style. 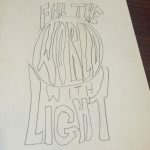 We asked Marc to create something for us, that matched this concept of filling the world with light and the color of course is so key, because we live in a colorful world, and light is a combination of colors. 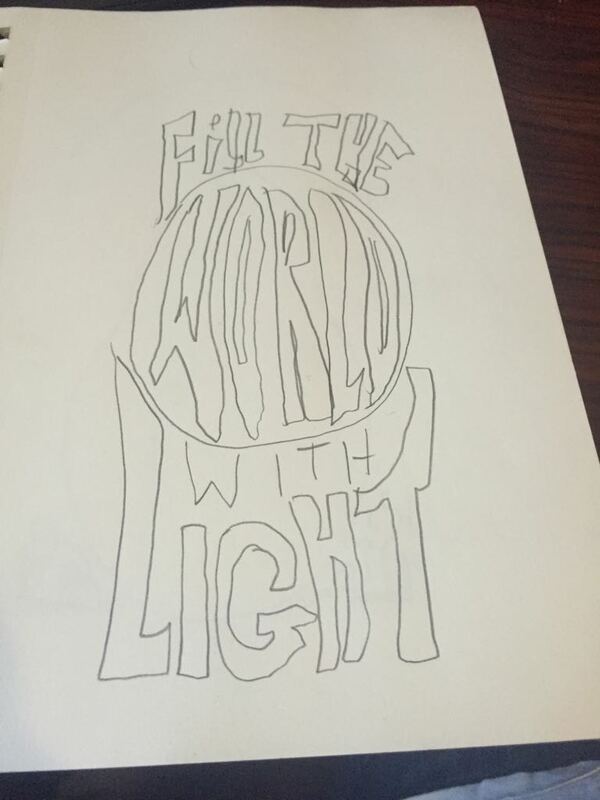 The idea of using the globe in the center came from obviously the word “world” in the title and light emanating from it, but it really was inspired by the classic Chabad logos used in the 60’s, especially by the famous Chabad series ‘Talks and Tales” which had a similar globe concept. I loved that nostalgia mixed with modern pop art, and we wanted to do something very different than we ever did before CD cover wise. Marc had one week designated to fit this into his very busy schedule and we were nervous how do you get something like this perfect in such a short amount of time! Well, on pretty much the first try Marc drew this sketch, which you can find under the CD, the original outline drawing, and within days it was completed. It’s a stunning piece of original art, and I can’t wait to get it printed out and framed and hung in my home! To wrap things up, this is definitely unusual for a producer to speak so openly and direct about the process of creating this album but I just had to share this all with you. I love this album and I’m very proud of what Benny and I and all the people involved in this project came together to create. I hope you will enjoy it to, and I hope you will buy it, and support us so we can continue to keep making this music for years to come. L’Chaim! 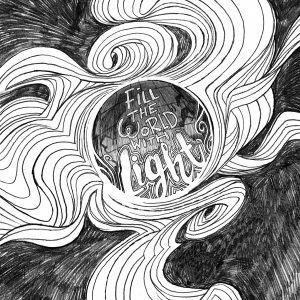 Let’s Fill The World With Light together, and bring it home, bring us all home toward the days when the world will truly be filled with the light of Moshiach! The album is available for purchase at MostlyMusic.com and I hope you will in fact purchase it!